Branded by the Philippine Department of Tourism as Asia's 24/7 island and named best beach in Asia by the travel website, Trip Advisor in their Traveler's Choice Award. 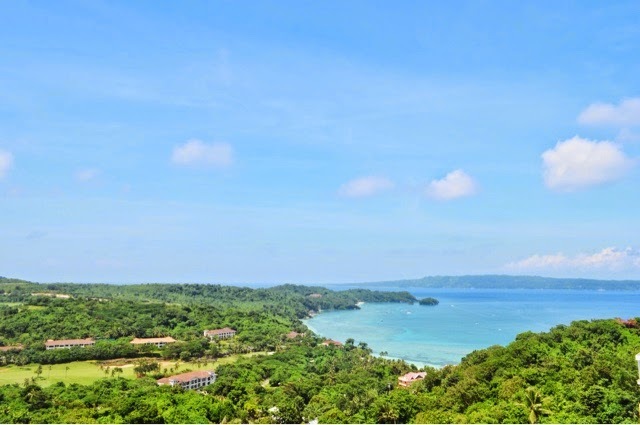 It was also recognised as the world's best island by international travel magazine Travel + Leisure. 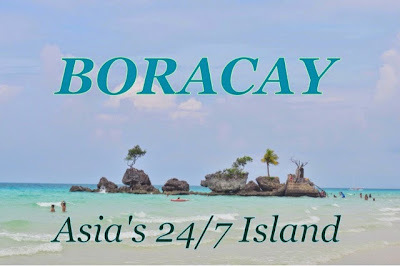 Boracay is a small island (approximately seven kilometers long) located in the province of Aklan in the Visayas region. 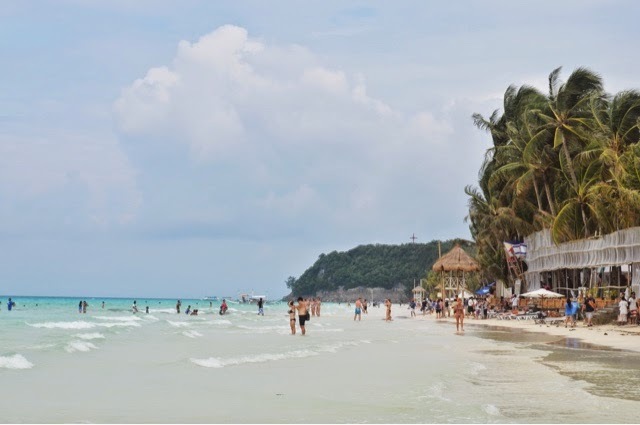 It became popular to locals and foreigners because of its powdery white sand beach and its clear crystal blue water. 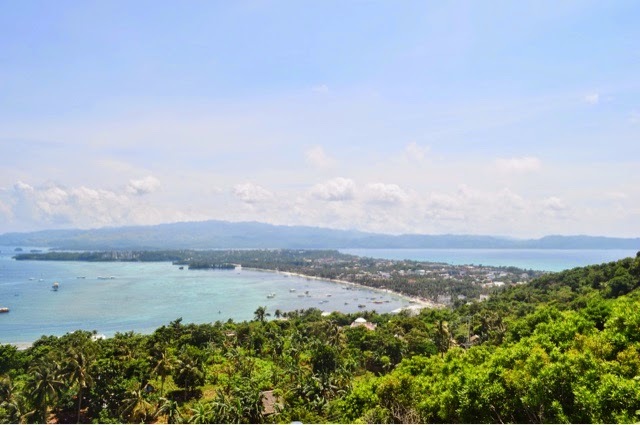 The tropical island paradise is just 45 minute flight away from Manila via Caticlan Airport and plus 2 hours land travel via Kalibo Airport. The famous White Beach is about four kilometers long and where you can find the resorts, hotels and restaurants. Bulabog Beach on the other side of the island is the main activity area for parasailing, helmet diving, banana boat and flying fish. 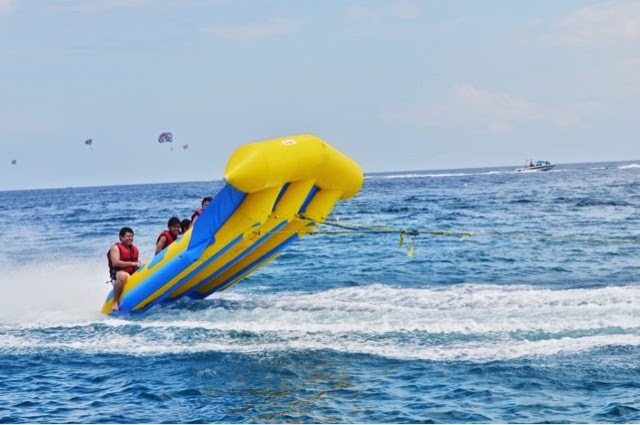 Experience the thrill of hurdling over the waves on a fun water sports activities like the banana boat ride and flying fish. 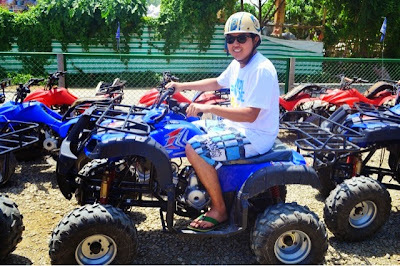 Hold on, get wet, go wild and satisfy your need for speed. 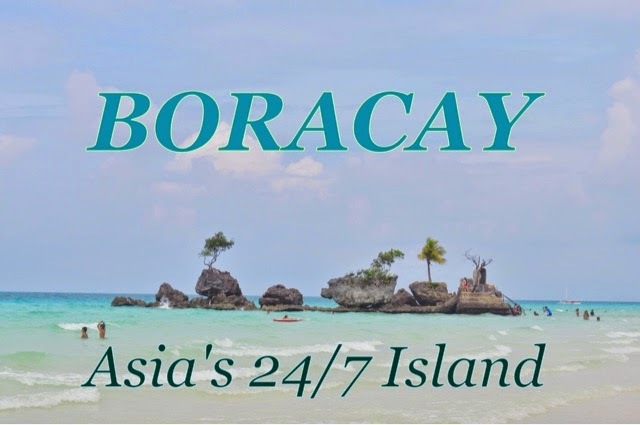 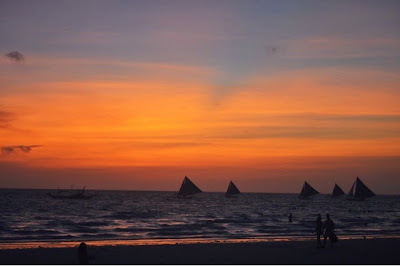 Boracay is a 24/7 island, a party place with lots of entertainment and nightlife activities. 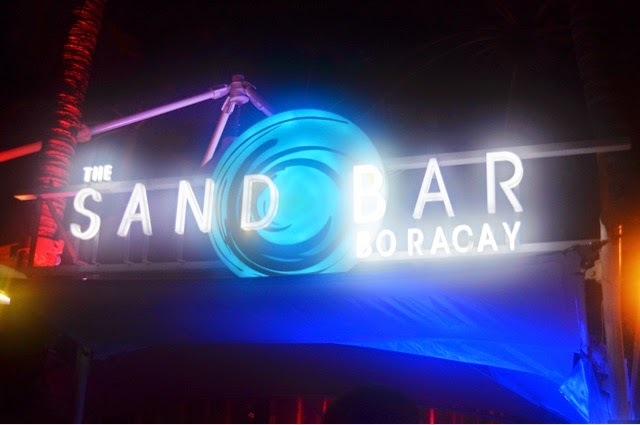 Some of the popular party bars are Cocomangas Shooter (Station 1), Epic (Station 2), Sandbar (Station 1), Guilly's Island (Station 1) and Wave Bar and Lounge (Station 2). 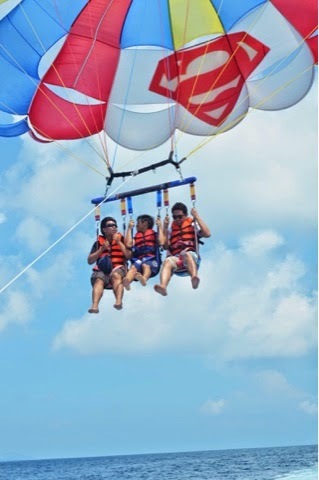 Conquer your fear of heights and reach for the sky. 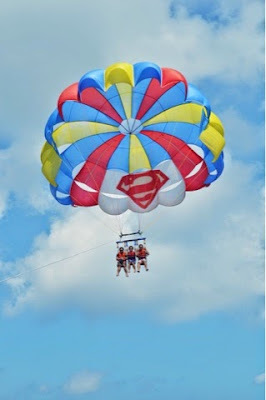 Enjoy the bird's eye view above the clear blue water of Boracay and witness the beauty of the nearby islands. 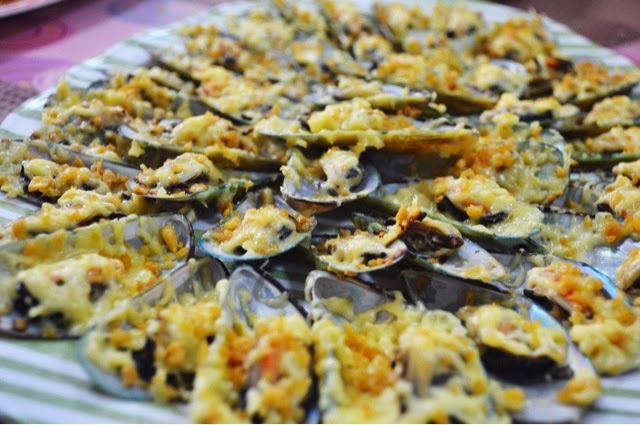 Taste the great food the island has to offer. 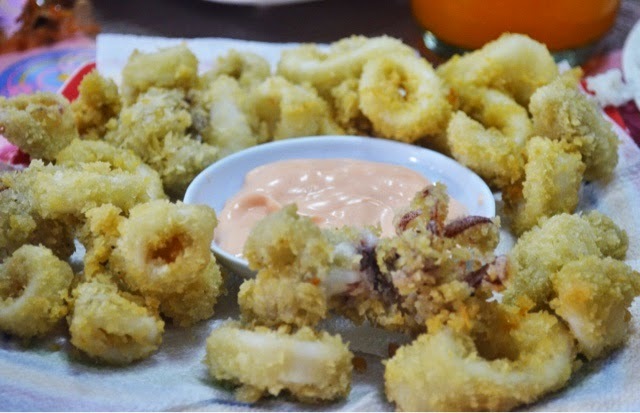 Visit D' Talipapa at the Station 2, buy the fresh seafoods you want and let the 'Paluto' services cooked your food and served it hot. 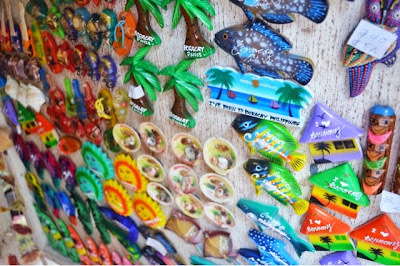 Right after the meal, you may go pasalubong hunting within the area. 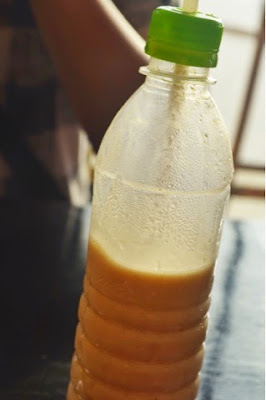 Drink the best refreshing fruit shake in the island. 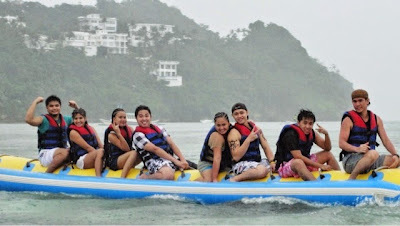 Discover the spectacular taste of Jonah's fruit shake ranging from Php100.00 - Php120.00. The restaurant is located at the Station 1. 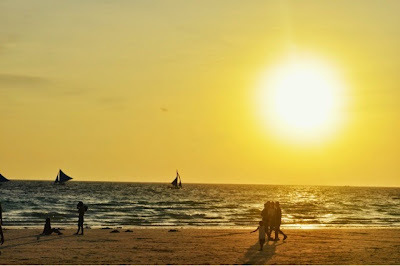 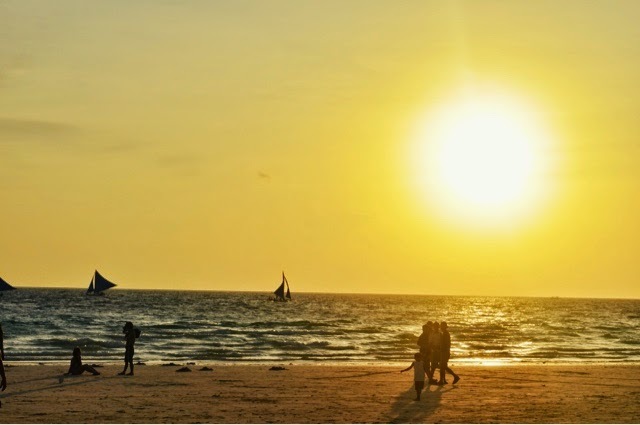 Catch the golden hour and witness one of the world's most amazing and magical sunset while lying in the powdery white sand of Boracay with your loved ones. Be adventurous by riding the All Terrain Vehicle (ATV) and/or Buggy Car. 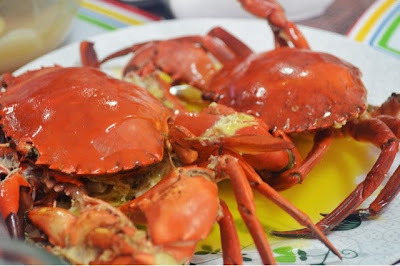 Visit the Everland Park for some animal encounter and the Mt. Luho viewpoint for the 360 degree view of the Boracay island. 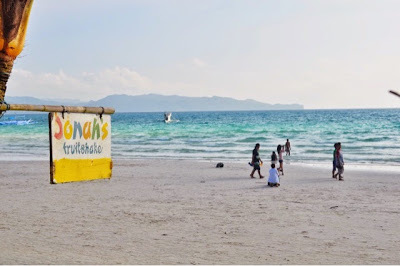 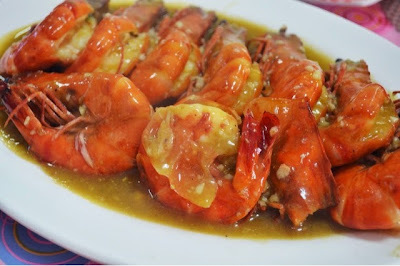 Eating is more fun in Boracay, try their ihaw-ihaw (barbeque and hotdogs) every afternoon along the White Beach. 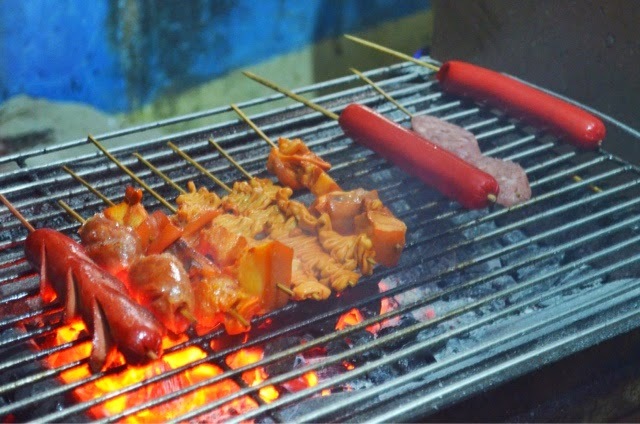 Chorizo burger is a must try for less than Php50.00 only. 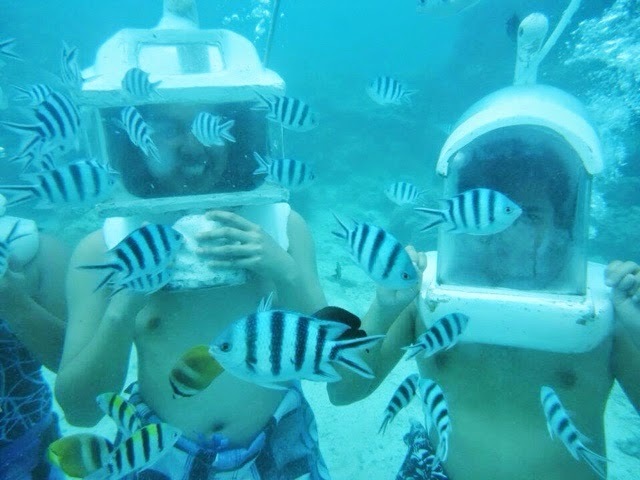 Play with the different fish species under the sea. Go helmet diving and/or reef walking, feed the fishes and get a close up view of the underwater life while touching the ocean floor 10 feet below the surface. 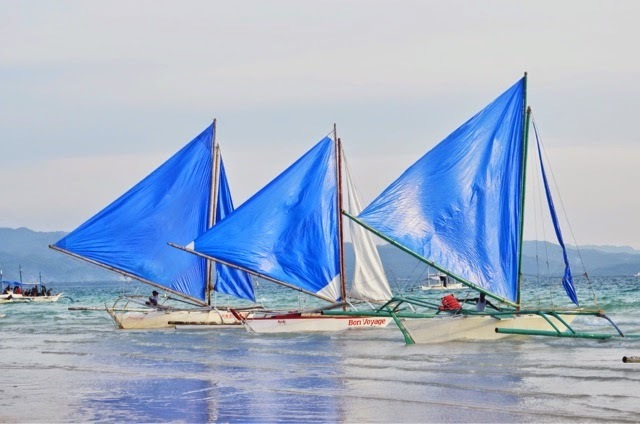 Witness the magical sunset of Boracay while riding the traditional sailboat called Paraw with your friends or loved ones. 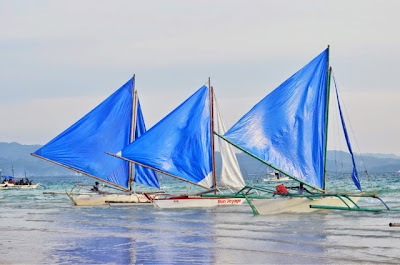 Go on an island hopping and visit the following Boracay beaches and islands: Ilig-iligan Beach, Puka Beach, Tulubhan Reef, Tambisan Reef, Crocodile Island, Crystal Cove Island and Tambisaan Beach with free lunch and snorkelling equipments. Ariel's Point Cliff Diving, Glass Bottom Boat, Massage and Spa, Zipline, Zorb Ball, Reverse Bungy, Go Cart, Scuba Diving, Jetski, Kiteboarding, Wind Surfing and Mermaid Lesson.